The world's first 32" 4K monitor for designers. The BL3201PH is a stunning 32"W display built with IPS technology and the latest 4K2K ultra-high-definition resolution. 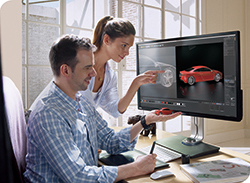 As a part of its continued effort to support the visual-intensive work required in the fields of CAD/CAM, animation, video editing and graphics art, BenQ has designed a monitor conducive to collaborative design and innovation. So professionals with a meticulous eye for detail can work with perfect precision and achieve high productivity. Check out the newer version, the PD3200U! 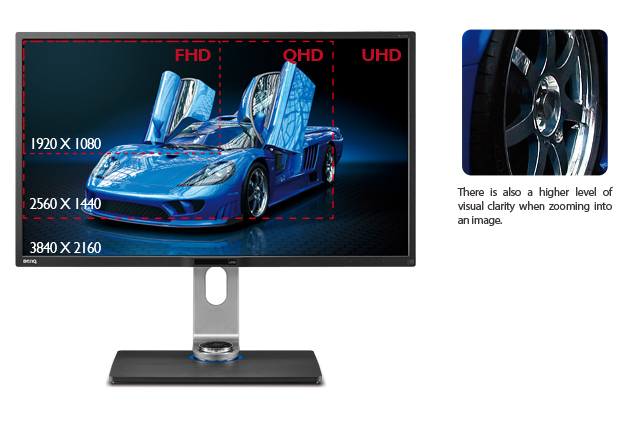 Designed to meet the rising demands of large-sized viewing and ultra-high definition, the BL3201PH boasts a 32"W 4K2K display built with BenQ's advanced IPS technology, providing professionals in CAD/CAM, animation, video editing and graphic arts precise color rendition and over more working space to enhance their work efficiency and productivity. Covering the 100% sRGB color space, every color is delivered with the finest precision in every detail and at every possible viewing angle for a great viewing experience. With a 10-bit panel that renders more than one billion hues, every image is displayed with the richest and liveliest colors. Faithful visual display of truly authentic colors and details from virtually any perspective – left, right, above and below. Professional CAD/CAM engineers and designers work with extremely detailed information, making superb display clarity and color accuracy absolutely vital for ensuring design precision. 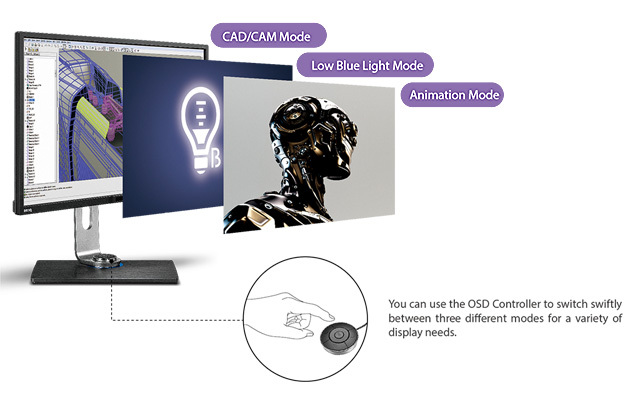 BenQ's BL Series offers a number of display solutions for maximized display performance, including the CAD/CAM Mode to bring out even the smallest details to view for Pro/E, SolidWorks, AutoCad, CATIA or other CAD/CAM software. Recognizing the multi-tasking and collaborative nature of the work, thoughtful features that support a wide range of viewing options are included to ensure high productivity while users run a number of tasks simultaneously or compare and discuss designs with colleagues. For complicated object wireframes, switch on the CAD/CAM Mode to alter the monitor's color and contrast settings to view highly detailed graphic information without ever missing a line again. SolidWorks Certification - As a certified partner of SolidWorks, designers are ensured that the BL3201PH meets industrial demands when it comes to a professional designer monitor. Professional animators work to breathe life into moving art, making even the tiniest detail paramount to delivering lively creations. 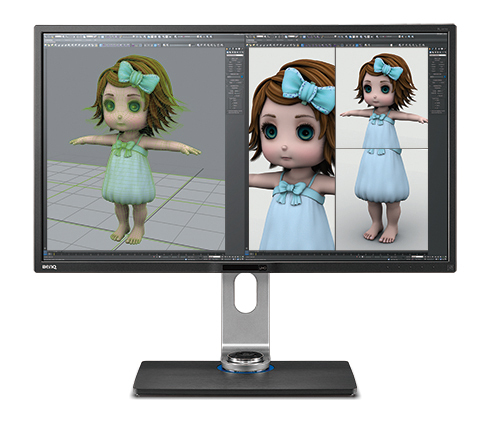 To answer the visual demands of the most sophisticated animators, BenQ's BL3201PH monitor gives you consistent accuracy for displaying every shade of color through a wide range of optimized image calibration settings, including the brightness-enhancing Animation Mode. There is also a multitude of viewing features incorporated into the monitors to simultaneously display all the information needed for making color adjustments. So no detail can escape the eyes of its creator! 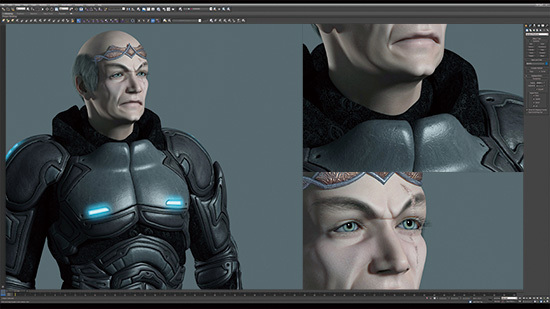 To make distinguishing detailed textures in darkened areas easier, BenQ developed the Animation Mode to enhance the brightness in dark areas of the artwork without overexposing bright areas. 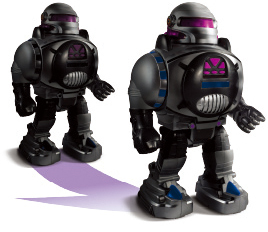 This allows animators to fine-tune their animation creation effortlessly. There are 10 levels of brightness adjustments that assist in designing the details within darkened areas to ensure precision in every design. Color accuracy and a clear line of view are of utmost importance for anyone working in the field of professional video editing. 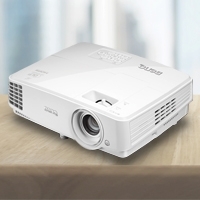 The BL3201PH offers 100% sRGB color coverage with a resolution of 4K2K to give you crisp and clear viewing quality accompanied by true, lifelike colors. The large viewing space combined with optimal viewing prevision give video editors full access to all the editing tools, applications and images they need to work with. So they can perform every task with maximized efficiency. 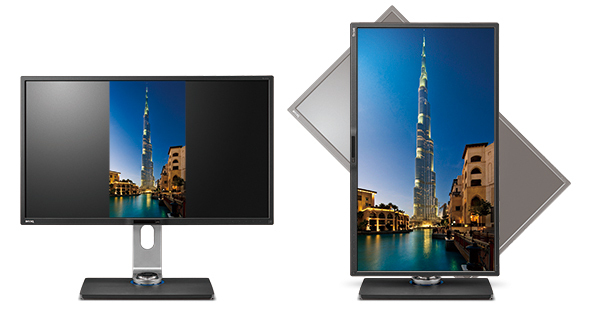 The BL3201PH monitor is built to cover REC. 709 color space, which is well known as the standard format for HDTVs. A native REC. 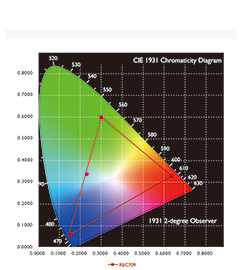 709 color gamut ensures that every color is faithfully represented with optimal precision. 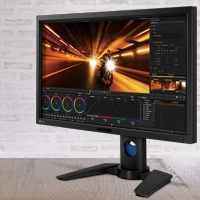 A high-quality monitor with high resolution, high color accuracy fidelity and a wide range of high-speed connectivity options is what makes a perfect companion for professionals in the graphic arts industry - graphic designers, retouchers and photographers. 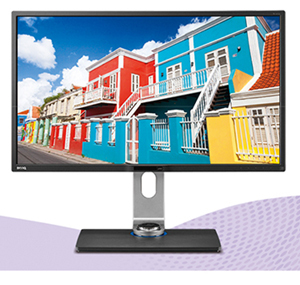 Featuring the highest resolution at 3840x2160, 4K2K, with 100% sRGB and BenQ's advanced IPS technology, the BL3201PH showcases consistent, reliable color results with every detail precisely rendered for a brilliant viewing experience from virtually every perspective. 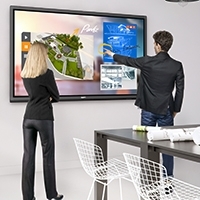 A variety of connectivity and viewing options also enables users to work with multiple devices and perform complex multi-tasking work with ease. Designed for professional designers accustomed to working with a square monitor, this feature allows them to work with nearly two 19" displays by dividing a 32" monitor screen into two 4:3 or 5:4 viewing areas – which can be further resized from 19"S to 30"W in size using the Display Mode feature. For enhanced convenience and productivity, the PIP/PBP feature allows you to compare two or more pictures as well as drawings from two PCs simultaneously for a more efficient work discussion. With the aid of BenQ's Display Pilot software, multiple windows can be displayed at once at your desired proportions to enable better multitasking. The Display Pilot software is a total solution package for designers seeking to customize their display. 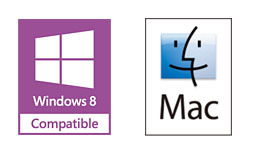 You can assign specific color modes to frequently used software applications on your computer with Application Tuning. The Display Pilot software will automatically apply the preset color mode to the matching software application in use. Other features that can also be accessed through Display Pilot include Auto Pivot, Desktop Partition, PIP/PBP and other OSD settings such as brightness adjustments. An extensive range of monitor adjustments – height, tilt, pivot, and swivel – allow you to tailor your own unique working station that is best suited for your height and viewing habits. Auto Pivot detects the movement of the monitor and dynamically rotates the contents displayed for flexible landscape or vertical viewing without having to change Windows or graphic card settings. The BL3201PH utilizes BenQ's proprietary ZeroFlicker Technology to eliminate backlight flickering at all brightness levels and effectively reduce eye fatigue. Conventional LCD screens flicker 200 times per second. The flickers may not be detectable by your eyes but they can certainly feel the flickering. So it is important to relieve your eyes from the stress caused by a flickering screen – and keep them nice and fresh when you are working on new designs. • Web-surfing Mode (50% Blue Light Reduction) to optimize visual comfort while reading web pages. • Office Mode (60% Blue Light Reduction) to ensure better comfort while boosting productivity for word processing, emailing and other everyday office tasks. • Reading Mode (70% Blue Light Reduction) to simulate the look of real paper for ebooks, long documents, or any other type of reading material that requires the user's full attention for long periods of time.